This entry was posted in Poetry, Poetry Events, Shortlands Poetry Circle and tagged Spring Program 2016 on December 28, 2015 by shortlandpoetrycircle. We were all very sorry to hear that Roy Chapman died in November, five days after being taken into hospital. 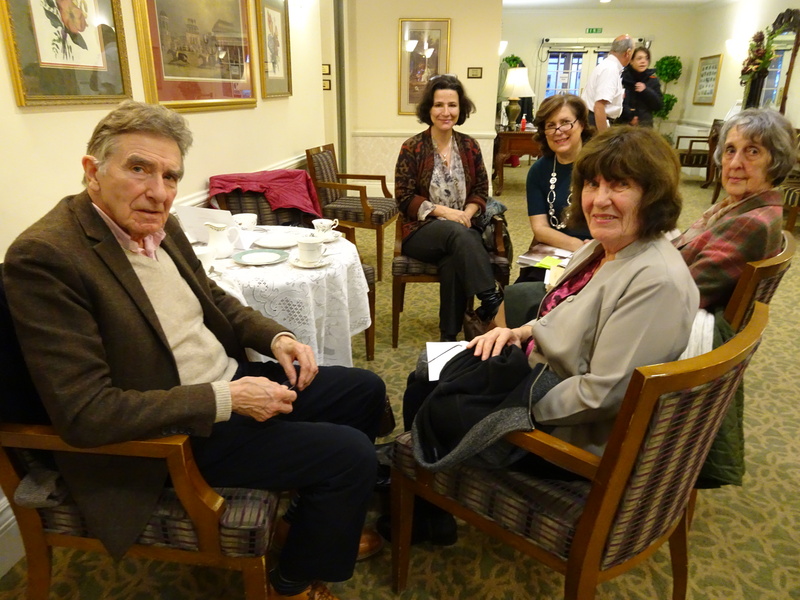 Roy and Janet joined the Shortlands Poetry Circle in 2012, having seen our stall at the Ripley Garden Party. 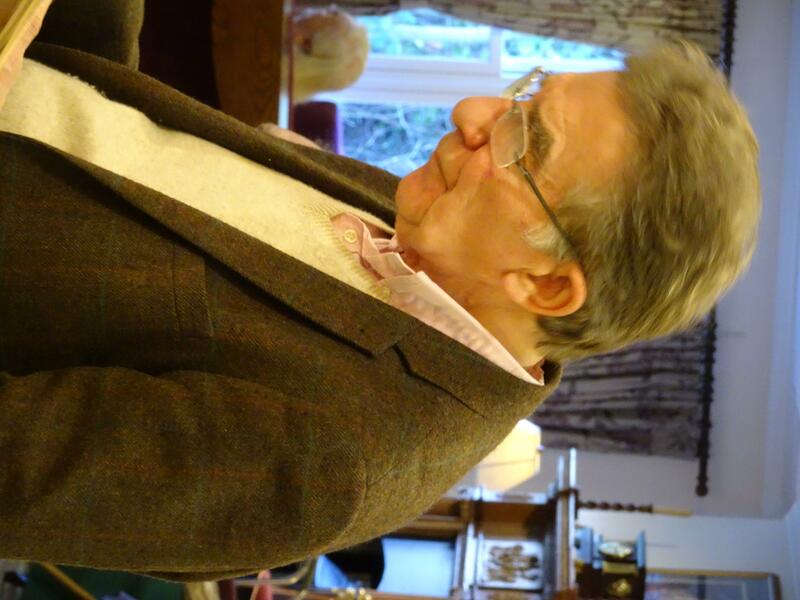 Roy participated fully in our meetings and was a genial presence, appreciated for his careful choice of poems and the attention he gave to others. His death came as a great shock and we will miss him very much. This entry was posted in Shortlands Poetry Circle on December 8, 2015 by shortlandpoetrycircle. This is the first venture of this kind for some time and one we were especially pleased to undertake. 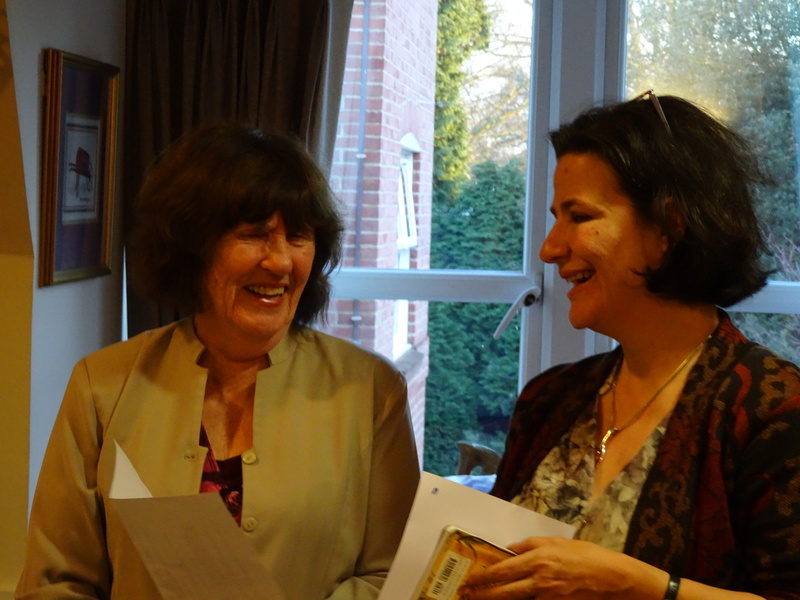 Ayten Dervish, who attends our meetings with her daughter Sezgin, now lives at Frognal House in Sidcup. Because of our link with Ayten we thought might make a visit there and read some poems to the residents. Sezgin herself was one of the four readers. Frognal House is described as having the feel of a country residence and it certainly has. We arrived as some of the tables were being set for high tea. The present house, although it dates from earlier times, was the residence and birthplace oif Thomas Townend. 1st. Viscount Sydney, after whom Sydney, Australia was named. Our first audience in Chestnut House was somewhat dispersed as they were sitting at tables where they had recently enjoyed a meal. It was not an intimate space but the residents gave us their full attention which must have been quite difficult as we were not close to them. Our second audience, in the more enclosed environment of Well House, was sitting nearer to us on chairs and settees. They too were attentive although one lady announced her intention of leaving during the interval. The staff were very helpful when it came to settling and calming the residents. Many, if not all, were suffering from dementia although it really seemed that poetry could ‘reach’ them and we were glad we had come. Below is the list of who read what. This entry was posted in Poetry, Poetry Events, Shortlands Poetry Circle, Writers and tagged Isabel Turvey, Keith Massey, Murial Letman, Sezgin Kemal on December 3, 2015 by shortlandpoetrycircle. Join us for an evening of debate, poetry and conversation – all welcome! Poet Blake Morrison selects 7 favourite poems and discusses his choices with Helen Eastman of Live Canon. Poems will be performed by Live Canon ensemble. Seven poems chosen by public will also be performed. Camden, United Reform Church, 1 Buck St. 1-2 minutes from Camden Town tube. Copies of the book are available direct from the author (email: mick@delap.plus.com) at £9.00. Trafalgar Rowing Centre,11 – 14 Crane Street,Greenwich, SE10 9NP. 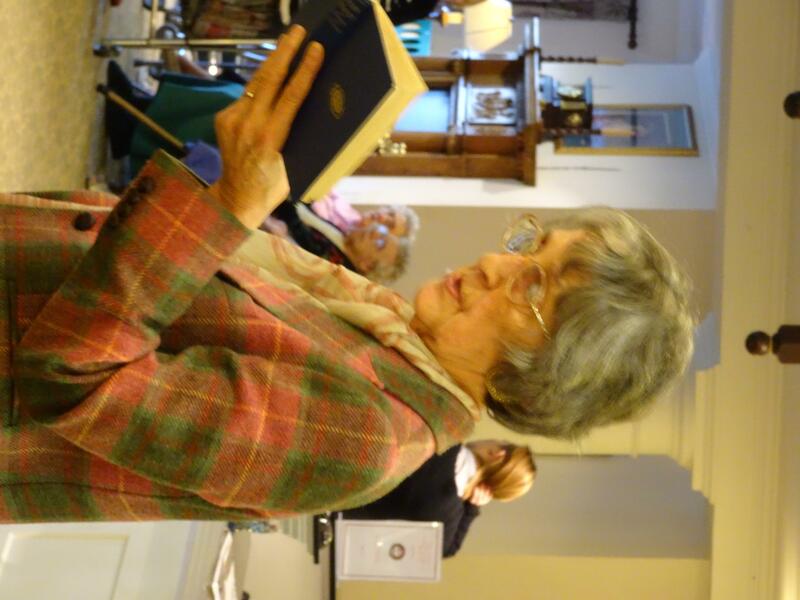 This entry was posted in Poetry Events, Shortlands Poetry Circle on December 3, 2015 by shortlandpoetrycircle.